Tong Lam, Untitled, 2014. Lightbox, 24 x 36". Courtesy of the artist. 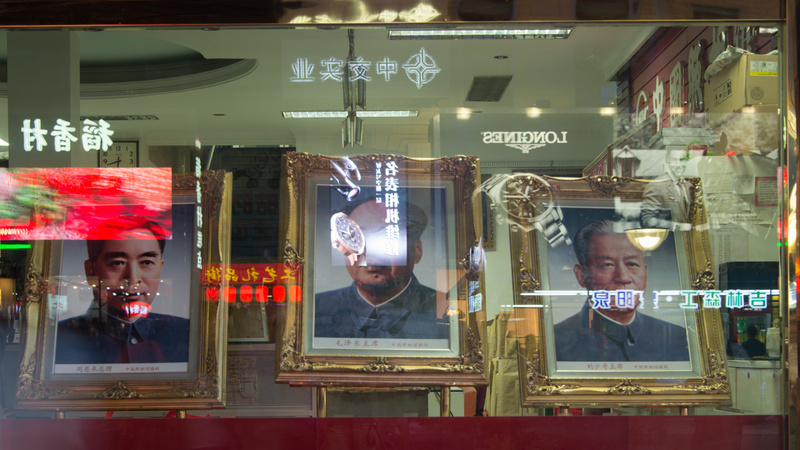 Tong Lam, City as Media, 2019. Video still. Tong Lam, Untitled, 2013. Lightbox, 24 x 36". Presented by the Toronto Reel Asian International Film Festival in partnership with Vtape. Supported by the University of Manitoba, the University of Toronto, and the Social Sciences and Humanities Research Council of Canada. Film is a form of mechanically reproduced art for creating shared experiences, and the arrival of digital technology has further standardized how the medium is delivered and screened globally. 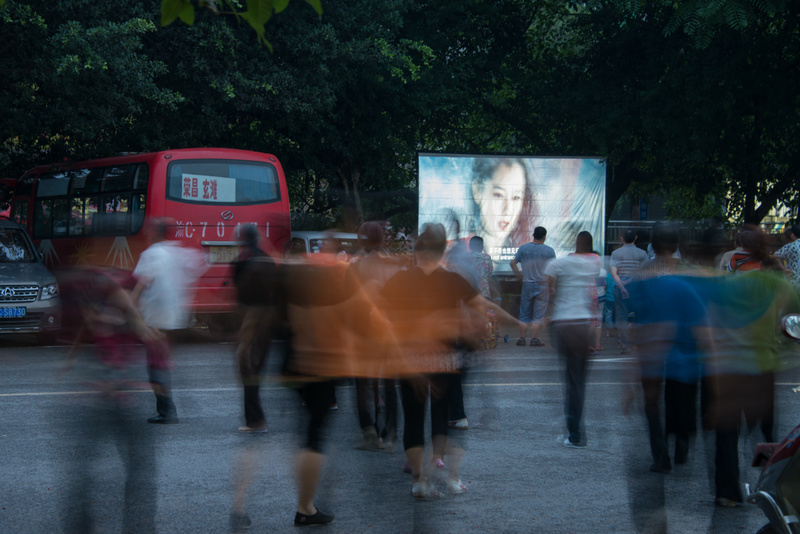 Yet, in China, where mobile cinema has re-emerged as a popular means for the government, big corporations, and even NGOs to cultivate new political subjects, consumers, and citizens, outdoor screening events remain highly unique, improvised, and in motion. 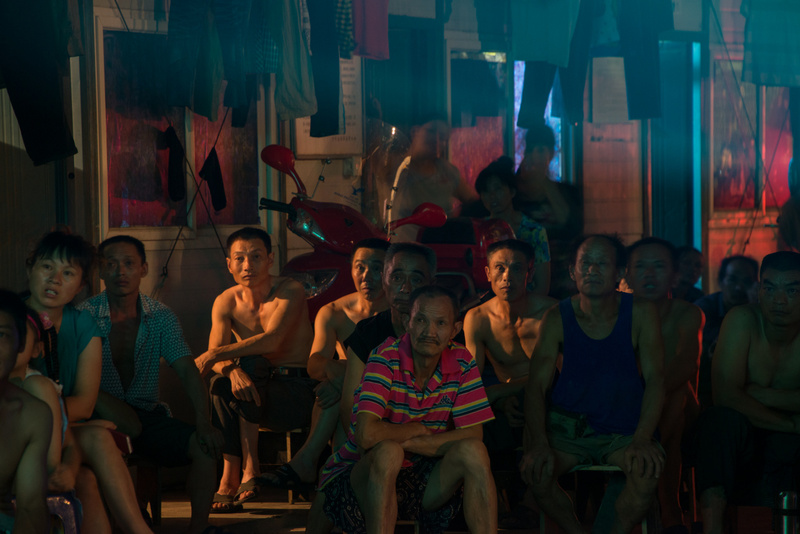 Like consumer societies everywhere, contemporary China has a visual economy that creates highly diverse and fragmented audience experiences. 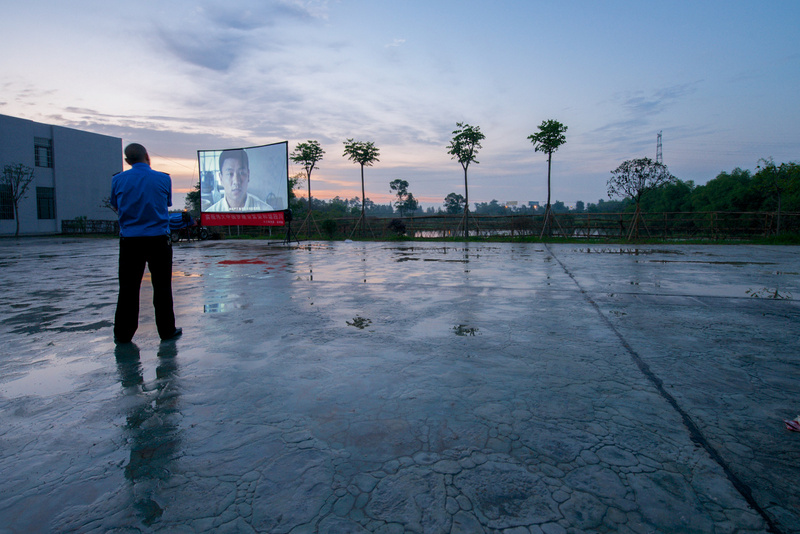 Is mobile cinema still capable of moving people and organizing society like it once did? If so, in what terms? Tong Lam’s series meticulously documents contemporary China’s outdoor film phenomena, where films are sometimes screened next to dancing people and even animals, and where propaganda films have to compete with images of conspicuous consumption. In addition to showing the diversity of people and places in a rapidly changing nation, Lam’s work also invites viewers to consider an increasingly complex global media environment overrun with commercials, misinformation, and media spectacle.